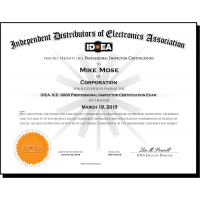 As cited in SAE AS5553 and utilized by NASA, this Standard has sold in more than nineteen (19) countries and is based upon techniques developed as a collaborative effort of the industry’s leading Independent Distributors. 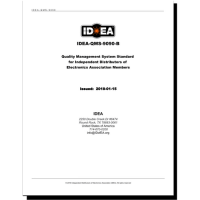 IDEA-STD-1010 was created to provide inspection processes and criteria that can be incorporated into the Quality Management System of any industry stakeholder, including Original Equipment Manufacturers (OEMs), Electronic Management Service (EMS) Providers, Authorized (Franchise) Distributors, and Independent Distributors, to assist each organization with the implementation and maintenance of counterfeit mitigation programs. 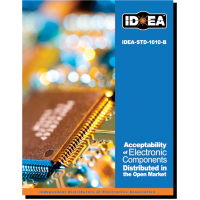 This Standard is invaluable for a number of professionals within the electronics industry, including management, component engineering, procurement, quality assurance, and inspection personnel. 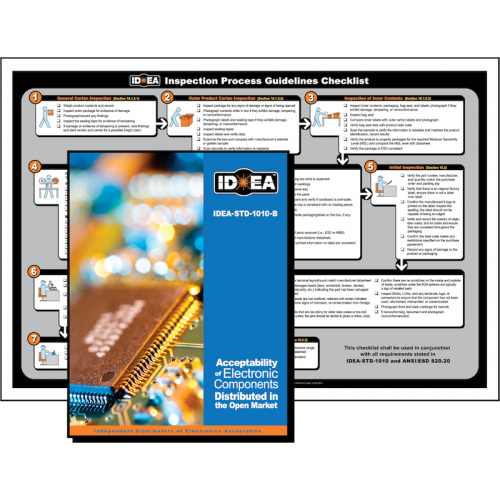 Revision B contains over 250 pages and over 300 full color photographs of inspection processes and acceptance criteria and has been critically reviewed for clarity and accuracy. 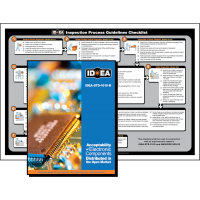 The apparent increase in counterfeit activity requires that all sectors within the electronic component industry that inspect electronic components ensure that every Inspector is trained in the unique techniques and attributes necessary to detect counterfeit parts, as conventional inspection techniques for substandard components do not incorporate the targeted tools needed to identify suspect counterfeit characteristics.